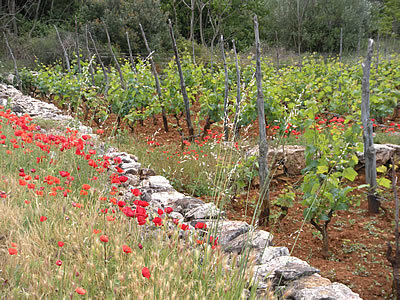 Dry stone walls are as much part of the landscape here on Hvar as they are in my native Scotland. 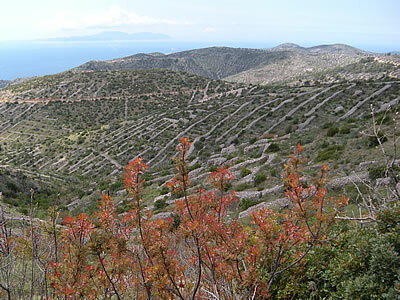 Over there, they pretty much hold sheep in, but on the Dalmatian coast they’re entirely necessary to hold in the soil. There would simply be no agriculture in this steep, karst environment without the back-breaking work over many generations to clear the stones – and keep them cleared! On the hillsides, the stones have been built into mounds that can act both as terraces to hold the soil, and as buffers to protect plants against the bura – the strong winter winds. Of course working the fields here has to be done by hand, or perhaps with the help of a donkey. 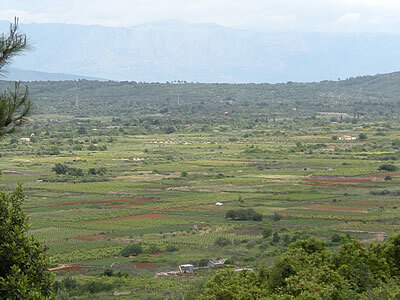 On flatter areas, such as the Stari Grad Plain, the walls run in a precise grid pattern that has marked ownership since ancient times. Some of those walls were originally built by Greek settlers nearly 2,500 years ago! There’s a lot more soil here, wonderfully red and fertile though obviously you still need to keep clearing those rocks! Sadly, the old drystone walling techniques seem to be disappearing, and mortar is creeping in. It takes patience, and a particular sort of mind-set to construct – kind of like a 3-dimensional jigsaw puzzle, I understand. For a long-lasting, solid structure, the base must be wider than the top, with the two outer load-bearing faces held together by interlocking pieces all the way up. When properly done, it can last for thousands of years! In fact, the pattern of the dry stone walls is a feature of the landscape all up and down the coast, and on many of the islands. 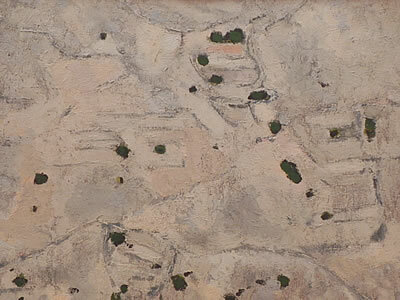 The Croatian artist Oton Gliha began a series of paintings about his home island of Krk in 1954. 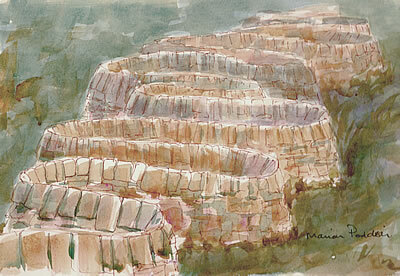 He called the first one “coastal landscape”, or somesuch generic title, but for the next 45 years of his life each of his paintings would be called “Gromače” ( Dry Stone Walls). Gliha saw the pattern of the walls as if it were a script written on the landscape, a kind of history of the people who lived and worked there. It’s a powerful series, very evocative of the unforgiving coastal landscape. The Gallery of Fine Arts in Split has at least one of his paintings in their collection – well worth seeing in person! In fact, that gallery is well worth a visit for many, many reasons! Dry stone walls also appear in the art of British sculptor Andy Goldsworthy. In his case the wall is also the medium. 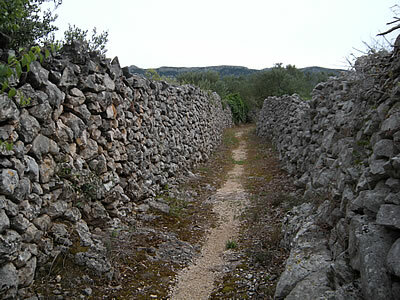 I’d love to see what he could do with local Hvar stone!